Southeast Asian countries all have their own media to broadcasts local, regional and international news. Be they online version of newspapers or television, or purely web contents providers, here is a selection of the 15 best media to get informed from various Southeast Asian national perspectives. As the best websites in terms of quality of information and presentation usually come from the most advanced countries, and the ones that are more proficient in English, it is no surprise to find in the top 15 websites from Singapore, Malaysia, Thailand, the Philippines, Indonesia and Vietnam. After all, these 6 countries make up for 95% of total ASEAN GDP, as you can see in these infographics. The 15 top general news websites from Southeast Asia are ordered primarily by their home country and then by their relative popularity on social media. They are some of the greatest sources of information in English in Southeast Asia, from Southeast Asia. Don’t hesitate to follow them to get informed and learn more on the world, the region and each country from a local perspective. Breaking news from the TV channel for Singapore and AsiaPac. Breaking news from Singapore’s most widely-read newspaper. Local and international news from Singapore’s most popular compact newspaper. Information mall which serves users’ news, business and lifestyle needs. 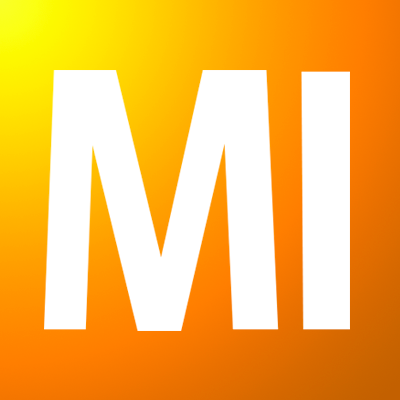 News updates from Malaysia’s top English-language daily and website. Latest and updated news reaching out to 4.5 million readers daily. News covering issues of the day, politics, business, lifestyle, sports and entertainment. Breaking news from Thailand’s number one English-language news media. Leading English language newspaper and new media content provider. Uncompromised social news to inspire smart conversation and a thirst for change. Leading news website covering both local and international news. Online arm of the STAR Group of publications for the Filipino global community. Bold and independant English news from Indonesia and the world. English news covering from the leading Indonesian news media BeritaSatu. News and analysis in English from Vietnam’s most read newspaper. Here are the top 15 general news websites from Southeast Asia. What do you think of them? Did we miss some other sources? Leave your comments! You missed us! We are the English publication of Tuoi Tre (Youth) newspaper, the largest newspaper by circulation in Vietnam. Sorry that Tuoi Tre (as well as many other great websites) had to be left aside so as to be able to produce a short list. It would appear that impartial & independents news was not part of your selection criteria judging by the number of Singaporean and Malaysian media entities in your list of 15 best news sources. If quality, independent journalism was part of the selection process, I fail to see how you might have neglected to include two of Southeast Asia’s great (if not the greatest) newspapers: The Cambodia Daily, and the Phnom Penh Post. The list includes a few of the most popular news websites of Southeast Asia, but in order to make a “short” list many great news sites have been left aside. Given the advance of Singapore and Malaysia on Internet, it is only fair that more Singaporean and Malaysian websites are represented here. Nevertheless, The Cambodia Daily and the Phnom Penh Post will have hopefully had some justice to their name thanks to your comment.